Here's a nice speculative article from elle2 for all of you that love to speculate but not be too spoiled. So enjoy and everyone can judge on Thursday if she's right or not. Speculation is fun! So hereâ€™s the thing, last night (Friday, April 9th) I wrote the rough draft of this article. After going to bed, my mind continued to churn and I realized that I was missing the core of what the angels had in mind. So, I jotted down a note, roughed out the reasoning and went to sleep. This morning (Saturday, April 10th) while running errands and driving a whole bunch of miles to the FedEx place to pick up a very expensive piece of equipment that is on loan to me while my usual expensive piece of equipment gets sent off for some servicing and cleaning I figured out all the ins and outs and decided to finish up this article and send it off to Alice. So, here I am at my notebook opening up the file and Iâ€™ve got my desktop on and I look at the spoilertv site and see photos for the upcoming 100th episode. As I allow myself to indulge in those and any webclips the CW offers and whatever media notices they put forth I click on the photos and immediately realize that my late night epiphany was right. (Thatâ€™s so a first for me regarding this show!) Not only am I right but daggone because Iâ€™m right it throws my article right out the window. Before I get into the rest of the writing I will advise youâ€¦if you avoid photos, media releases and clips, you should avoid this article as perhaps this is a big revelation and you donâ€™t want to spoil yourself. Donâ€™t worry, the article will still be available after the 100th episode airs. If you donâ€™t care about minor or major plot spoilers or big reveals, then keep right on reading. Now this second photo is from yesterday (April 9th). He is now nine months old and while he can still turn on the charm and cause the awwwww moments, he is so much more now than just awwww. Heâ€™s so smart and funny and goofy that he amuses and amazes me daily. Socks and tissues remain his favorite items to steal (and usually the used of both â€“ eww!) Munchkin the kitty still has him under control, when he has a chance to turn on his angry face and raise a paw, otherwise heâ€™s squished and fuming. Both like to snuggle on the bed with me, so much so that when I decided to replace my aging and uncomfortable mattress I chose a queen â€˜cause Jobe is still growing and already 80 pounds. My last was 80 pounds full grown and Jobe has much more growing to do. I could go on about Jobe and Munchkin but Iâ€™ll refrain, after all youâ€™re here for some Supernatural loving; by now youâ€™ve decided either to avoid or read on so no more warnings. Iâ€™ll dive right in. The futon critic advises us that a â€˜familiar face returnsâ€™ in the 100th episode and Ausiello takes it a half step further by adding that this is someone we thought was dead and gone forever. I immediately crossed off five without even trying, Ash and Pamela â€˜cause we just saw them in Dark Side of the Moon; Chuck, The Trickster/Gabriel and the demon Crowley quickly followed because all three have been â€˜spoiledâ€™ as returning, The Trickster/Gabriel will be in episode 19 and the demon Crowley will be in episode 20. As for Chuck, not sure which episode he returns but itâ€™s rumored he will be without superfan Becky. So, who remained on my possible list -- thatâ€™s the list I started this article with on Friday? Most hoped for: Call me ever hopeful but Jeffrey Dean Morgan/John Winchester remains my hands down favorite and most hoped for returning actor/character. John Winchester, itâ€™s been too long and there is too much still to be said. The writers have done an excellent job keeping the character of John Winchester elemental to the show so that even while heâ€™s not physically present he is still â€˜presentâ€™ in a very real sense. But the chance to see Jeffrey, Jared and Jensen together again â€“ and this time with some real interaction not just the nonverbal bits we got in All Hell Breaks Loose II â€“ is too good to pass up. Who do I least want to see? Genevieve Cortese/Ruby. I never thought Ruby was anything but bad and while I enjoyed the character very much in Season 3 (as well as Katie Cassidy in the role) in Season 4 the casting was so wrong that each time the character appeared I got jolted out of the scene and it was distracting. The bigger part of this is that I now firmly believe that Rubyâ€™s story has been fully told, I see no reason for this character to return. Bottom line: While Iâ€™m sure Jared would enjoy the fun of working with his now wife (congrats!) I truly hope Genevieve Cortese a/k/a Ruby do not appear againâ€¦ever. So who falls in the middle in no particular order? Quite a few. Angels: Anna and Uriel â€“ from the angelic side of things are possibilities but I really donâ€™t think so as both charactersâ€™ stories appear to be concluded thus there is really no reason for them to reappear. Iâ€™ll discuss Anna first, her story started off quite intriguingly (IKWYDLS) then the character became a bit whiny. The fact that she ended up sacrificing herself for the greater good in (HAH) helped a bit but the character by then was already below what I saw and liked at first. Her journey took an interesting turn in OTHOAP, who exactly are her contacts that allowed her to keep her body and I liked that she changed her tune on God so that she was advising Cas on his course of action and then killing off Uriel for the turncoat he turned out to be. Her appearance in The Rapture was meaningless except for the exposition on where Cas was but then she reappeared in WTLB and is captured and whisked away and weâ€™re left to wonder for over half a season what happened. The end of Annaâ€™s storyline (with a very cool effect) in The Song Remains the Same was jolting and uneven, at best; Anna is now a weapon for â€˜the other sideâ€™ with no purpose other than to murder Sam. The last time we saw her she was almost protective of him as she accused Cas for his part in letting Sam out of the panic room. While Annaâ€™s story was uneven and at times appeared stuck together from a variety of sources Iâ€™m pretty certain that Michael officially dealt with her in The Song Remains the Same. Now, as for Uriel, his storyline was much more coherent and even and while I believe his story ended in OTHOAP fully, I wouldnâ€™t mind seeing him again but it makes little sense for him to be the familiar face showing up in episode 100. I do like the bringing of him back in The Song Remains the Same and giving us a glimpse of the earlier Uriel but to see him now when his rogue ways and journey of deceit and trickery was so well done from beginning to end isnâ€™t much of a sell for me. Bottom line: I cross off any returning angels from my list. Demons: There are two that could return, and I wouldnâ€™t mind either one. Alastair is a possibility and Iâ€™d take either actor as both were excellent, although it was Christopher Heyerdahlâ€™s Alastair who had the most interaction with Dean so, if Dean is to hallucinate or spend some time contemplating how it all got to this point and works to exorcise his inner demons, Iâ€™d give the nod to Heyerdahlâ€™s Alastair and that would be delicious. Azazel is another demon I speculate could be the â€˜familiar faceâ€™ and that would be pretty awesomeâ€¦if Fredrick Lehne/Lane were the actor. I have no reason to believe this is the familiar face other than â€˜dead and gone foreverâ€™ is a criteria he fits. Bottom line: I cross off any demons from the â€˜familiar faceâ€™ list. While both are awesome characters neither seem to fit in the current spot of the story at this point. Sure itâ€™s possible Dean could beat himself further with Alastair picking at his brain but SPN has already â€˜been there/done thatâ€™ with Sam in WTLB as well as with Dean in the conscious realm of OTHOAP, so I donâ€™t see that happening. Azazel has taunted Dean numerous times, Devilâ€™s Trap, All Hell Breaks Loose II and In The Beginning, there just isnâ€™t a reason for him to do it again; what would be added? Ellen and Jo Harvelle. Both are familiar faces, both are dead and thought gone forever, so both fit the criteria. Both could return if Dean is contemplating his failures and his future and his course of action. Both could come back and slap him around for failing to kill Lucifer (this of course would be how Dean would perceive things, not reality â€“ after all, he didnâ€™t miss.) Ellen could come and tell Dean not to give up, go down fighting. Jo could come back and say the same things. Bottom line: Iâ€™m torn here, I really am. After what we learned in 99 Problems, Jo is not, nor was she ever the love of Deanâ€™s life. Iâ€™m not surprised, despite the touching scene between the two of them in AAH and my thoughts on her and Deanâ€™s looks as sort of â€˜what ifâ€™ possibilities; in the end, I like the idea of Dean with Lisa better than Jo. There really isnâ€™t much of a reason to bring back Jo unless itâ€™s for Dean to heap more agony on himself, if for no other reason than that I give Jo a possibility of returning. Ellen, well, I suppose thereâ€™s a bit more of a reason to return her â€“ mostly because sheâ€™s just such a freaking awesome character â€“ but I still canâ€™t conceive of the reasoning to put her in the storyline other than what I put in above regarding Jo, so Ellen also gets a possibility of returning. So, as I went to bed Friday night those were my thoughtsâ€¦and then it hit me who the â€˜familiar faceâ€™ was and all of a sudden so many pieces clicked into place. Sure, for those of you who got it weeks ago Iâ€™m a dolt; Iâ€™m okay with that. Iâ€™m happy I got it at least. It wonâ€™t spoil the episode for me one bit â€˜cause no one does the emotions better than Jensen and Jared and when it comes down to it, I liked Jake Abel as Adam Winchester. When I jotted the note and rough outline of the reasons last night it made so much sense, especially all the bits about bloodline and how it was supposed to be John at first. Of course it also opens up a series of questions as well â€“ questions that hopefully will be answered on Thursday. Why did Cupid have to work so hard to make sure John and Mary were together if Adam is a possible vessel? Is that because it was known from the beginning that a â€˜backupâ€™ would be needed in case Dean said no? It can turn your head but from the beginning of time the end of time has been known so Adam was a possibility before Sam and Dean were even on earth â€“ my head hurts. Hmm, perhaps weâ€™ll learn that on Thursday. If Adam is a possible vessel is that because Michael has to have a Winchester to inhabit and not just Dean? Thatâ€™s a possibility, weâ€™ve already seen in The Song Remains the Same that Michael can inhabit John; also Lucifer is currently not in his â€˜trueâ€™ vessel, so it violates nothing of what weâ€™ve already learned. What about the one who breaks the first seal is the only one who can stop it? Was that not fully explained â€“ i.e. thereâ€™s more to that prophecy than weâ€™ve heard thus far? I really hope thereâ€™s a plausible loophole or the power of the ending of OTHOAP has been broken. Is Adam really a possible vessel for Michael or just another power play by Zachariah to get what he wants? I donâ€™t know. I know where I plan to be on Thursday night though to find out. As for Thursday nightâ€™s episode I have some observations regarding the three clips that have been released. First, love the motel room is number 100!!!! Excellent! Second, the consistent theme of all three clips is Dean being shown the consequences of his actions in near real time, something Sam has never had. I know there are some out there who are upset (yes, donâ€™t be shocked) that Sam is somehow still apologizing for having a mind, an independent urge to be his own person, or as one person put it â€˜to be self-actualizedâ€™ and they donâ€™t like that Sam is being beaten up again by the writers. I, of course, see it differently. Sam never apologized for leaving, not for Stamford, not in Hunted. Sure heâ€™s said heâ€™s going to do better, try to earn Deanâ€™s trust back, sure he came back in Scarecrowâ€¦but heâ€™s never said Iâ€™m sorry, I was wrong. AND â€“ Dean never explained just why he was so devastated. In The Pilot all Dean said was that for two years heâ€™d never called Sam or bothered him. He never explained how much it hurt. In Hunted Dean never told Sam how scared he was that something had happened to him and it wasnâ€™t until Dark Side of the Moon that Dean, by now so fractured, let on to the pain and fear of what those times had been like for him. Sam never apologized to Dean for that pain because heâ€™d never realized that heâ€™d hurt him. â€œHey, man, communication is a two-way street.â€ Good point. Dean, you should have long ago told Sam how much you feared and hurt when Sam ran away at 16 or so years of age and lived in a trailer with a dog. Now that Sam knows â€“ and knowledge is power â€“ he can make adjustments and I love that weâ€™re given a scene in the upcoming Point of No Return that Sam can show what heâ€™s learned. Plus thereâ€™s a shout out to the fight in WTLB â€“ excellent. I also love that Bobby continues to amaze with his emotions this season and gives Dean immediate insight into the pain heâ€™s enduring because of Deanâ€™s actions. Dean needs the strength of Bobbyâ€™s love and anger to put him on the right path, as well as the very real reminder that Bobby listened and remembered and gained strength from Dean at the end of The Curious Case of Dean Winchester. Finally thereâ€™s Cas, he too is giving Dean immediate feedback on the pain and loss in Casâ€™ life because of Deanâ€™s current actions. Cas is awesome when heâ€™s angry and then the softening and compassion (that we first saw way back in In The Beginning) as he sees how broken Dean is and he relaxes his fist and finds a better way to subdue Dean; awesome. Iâ€™ve watched that clip already a dozen times â€“ and Misha is getting much better with his fighting. Point of No Return isnâ€™t even here yet and already Iâ€™ve got a bunch of questions to ponder and fab scenes to anticipate once theyâ€™re threaded into the proper sequence and the acting will once again blow us away. Bring on number 100 â€“ itâ€™s well-deserved and looks to be a fabulous experience. "as one person put it â€˜to be self-actualizedâ€™"
Ha, that was me. I think Sam has many things to apologize for (most of s4), but I'll never ever believe leaving for Stanford is one of them, and I'm sorry to see him saying that decision was wrong in the previews for the 100th episode. I don't believe Sam needs to apologize for going to Stamford but running away, leaving in anger, leaving in secret, making no contact; those are hurtful and that's what he needs to apologize for -- now that he's aware of the pain it caused. To be fair to Sam he never knew how much he'd hurt Dean because Dean never told him, you know, that whole two-way communication thing. I don't see Sam apologizing for Stamford, I see him apologizing for running away, after all that's what Dean said he did in that clip for this week's episode and there is a difference. Sam didn't explain everything (that we're aware of) he just up and left in the middle of the night in the middle of some dark stretch of road and for four years never talked to his family. That's worthy of an apology. Going to Stamford and trying to have a life, no apology necessary but to cut your family out, wow. I love that what we've seen happen from Dark Side of the Moon is that both brothers have finally seen 'the other side of things' for the other, something they've never been afforded 'cause each has kept their innermost thoughts and pains and fears hidden. Finally Sam got to see how much he hurt Dean, again Dean never explained things and once given that information, Sam has immediately tried to make amends for pain he never knew he caused. That's fabulous for Sam to finally see Dean's POV and Dean, whether he liked it or not, finally showed his real pain. From that healing can and will come. What I can see thus far is that Dean is going to get a healthy dose of immediate reaction to his 'running away' something Sam didn't get during his acts of leaving or running in the past. What Dean does with it, well, I guess we'll find out on Thursday. I can see what you're saying - Sam's finally growing up enough to take responsibility for the effects his actions had on Dean, whether or not they were the right choice for himself. However, I can't discount John as a major player in how Sam's leaving for Stanford went down - and I guess I don't really see that Dean has ever acknowledged that. To me, John was a violent, petty dictator, who thought he could run his adult sons' lives, and certainly wasn't interested in any signs of free will from them. Sam's secrecy and flight were, to me, a pretty sane reaction to the stifling microcosm of insanity John has raised him in. And Sam didn't just up and leave with no notice - he was thrown out of the family by John for wanting to go to college, and since Dean at the time was very much a cheerleader for John's agenda, I think there was a lot of ambiguity there for Sam as to where Dean fell in the power struggle for Sam to plot his own course. I hope Sam can really get through to Dean and let him know that he loves him and he didn't mean to hurt him, but I also think that getting as far away from John as possible was just about the sanest thing I've ever either of these brothers do. I like your thoughts and can certainly see that Sam would have had some difficulty in his frustration as a teen trying to figure things out and wanting desperately to have a life of his own. Who are you? I'd love to know so i'll look for your thoughts in the future. Hi, elle2. Sorry, that was me! I don't know what happened there. Probably I shouldn't post pre-coffee in the morning. I agree with you both. Until Dean finally (and I so mean finally) told Sam what his leaving did to him, no one could blame for Sam for not thinking about it. Some say it's selfish of Sam not to think of the other person's point of view but that's only fair IMHO if Sam had had experiences where people listened to his point of view and taught him the importance of listening to others. The boys' upbringing didn't allow for that kind of learning which is likely why Dean pressed it all down and never explained and why Sam never thought to consider it. What makes me so happy (and I've always been happy with the show but this only adds another layer of happiness) is that Sam was finally allowed the chance to see Dean's POV. Dean didn't even try to hide it or brush it off with a snarky comment but rather showed his pain, something he's not done regarding this issue. To Sam's credit (and I'm not the least surprised) he totally got his brother's pain and is now very aware and very much willing to shoulder his part of the responsibility. That's real, you hurt someone through your actions, unintentional it may be (as in Sam's case) and, when it is explained to you how you hurt them, you apologize and learn and grow. That's one thing the writers have always done on this show, allowed their characters to learn and grow. They don't try to make them perfect, they allow them their flaws, even to the point of making us cringe and then, when the characters are brought face to face with the error of their ways, they grow they learn they change. I love that. This is a big turning point in the brothers' relationship for barriers that have been there since The Pilot are finally brought down and the truth is revealed. Only 71.l5 hours to go. You know, I think Sam DID realize how much their lack of communication during the Stanford years hurt Dean, because Dean was on the verge of tears thinking about their family splitting up again in Shadow. All he knew was that the last time it had happened, they hadn't been brothers for those years... they hadn't spoken, hadn't seen each other. He was very obviously distraught, and Sam recognized that. So, I think Sam knew, I just think he thought it was a little ridiculous and childish to feel that way. He didn't realize how much it can hurt when someone walks away from you and doesn't want to talk to you anymore, because he'd always been the one doing the walking. But this season, he's had to deal with a Dean who doesn't feel close to him anymore, doesn't protest when Sam wants to split up, and doesn't want to get back together when Sam decides it's time to. That's a Dean he's never met before. And now, to top it off, he's dealing with a Dean who leaves in the middle of the night without even telling him where he's going (!!!) and makes him scramble around desperately to find him. Wow. Why does THAT sound familiar? So, for the first time, Sam's the one who's being left. And I don't think he likes it one bit, so he's come to the realization that leaving the way he's done over the years has been harmful to their relationship, harmful to Dean, and ultimately also harmful to himself and his journey to become an adult. I think that's what the apology is about. It's a promise to be in this as much as Dean is... a promise to be equal, not to be the one who's always pulling away, because he's now realized that he doesn't like it when DEAN pulls away. It's not about Sam being stronger and Dean being weaker anymore... Sam now realizes that it's not about strength or weakness or codependency, it's just about love. Is our soul rapture-ready by now? You know, I am amazed about the discussion going on about Sam apologising too much or not enough etc. I think at the point where they stand right now, it appears only organic to understand some of the deeper wounds that were torn long ago, when both were still more stable and sane. Right now, these wounds become more palpable as the armour they used to have has been torn away by the events they barely survived. I still believe, back when Sam left for Standford, he did so because Dean had done a lot to enable him to gain that confidence to be able to leave his family. Dean protected Sam, cleaned up dadâ€™s messes, and I bet when Sam ran away as a kid and Dean got it from dad, he still tried to protect Sam. I bet, knowing the caring nature of his, he took the whole blame without blaming running away Sammy. He shielded his brother from whatever bad moments he was able to. When we decide to do something, we canâ€™t know what will happen. We have to find that decision on the grounds of what we deem to be right. Back then no one knew what was waiting for them. And neither did anything to destroy the world deliberately. Neither set off the apocalypse for fun. But they feel like they did. And thatâ€™s what makes them apologize. Even if we are not to blame, we can feel as if we actually are responsible. But that also shows how much they care for each other, how important one is to the other and how much they try to protect the other. Is there any greater love? My heart breaks for them. I am terrified of the coming episodes, and I canâ€™t wait to see them. once again I'm amazed at the depth of thoughts on the characters and the journey of this show. So many excellent points regarding Sam never being the one who was left behind...so true and that is a way to truly learn the other person's POV when it happens to you. Sam learned something through that experience and I'm thrilled to see him embrace it and grow even more. As for Dean's protectiveness as they grew up, it was a blessing and a curse as it gave Sam the confidence to have his own life -- right on, Jas, -- as well as shielded him in part from the consequences. I agree, we make decisions based on information and our experience as well as our emotions and there are real consequences, good and bad, that must be dealt with. Fascinating insight that this is organic to go back and unveil the pains of the past so far now in the future. I love how the show mines earlier threads and themes and grows the characters more and more. Some say John Winchester is getting more and more torn down by the continuing onslaught of 'daddy issues' but I disagree. Look at how much we learned about John just in The Song Remains the Same. Eager to welcome Mary's family (yeah, so he didn't know they were his kids from the future), desperate to earn money for his family so he left to get an interview or meet with the garage owner, when push came to shove (or smash and crash as it were) he jumped in, putting aside his hurt,confusion whatever at having been lied to by Mary and joined the fight to do what needed to do to save Mary and himself and fight with Dean and Sam. Not to mention his moving and believable anger when Sam explained that their father trained them in the hunting life, pre-hunter John was angered at the betrayal of a father's job to protect his children in this way. What a character insight to see how much the hunting life destroyed the idealism and happiness of John Winchester. I love that character and none of the 'daddy issues' IMHO have destroyed the character, not when such care has been taken to give us a completely different insight into the man before November 1983. Thanks for all the great discussion!! Only 49 hours to go. Elle2...you are my kind of person. 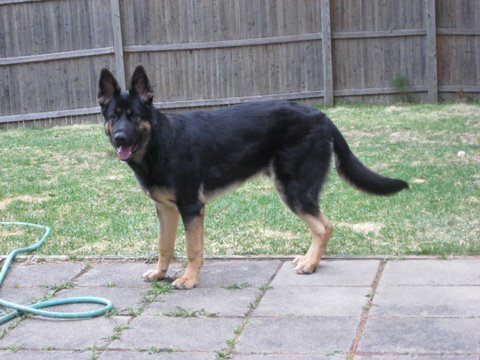 I have a German Shepherd too....Love the breed. Your article was great. Yes, Sam really never knew what Dean had felt. He shouldn't have left and never even kept in touch with his brother. For me he shouldn't have cut off Dad either. And I never felt Dean was wrong in loving his father. John may not have done everything correct, but he did love his boys. That's something neither of them should forget. First time delurking, love the site! Loved the article, really well done. As for the apologizing part, no Sam doesn't have to apologize for wanting an education, a normal life, friends and so on, and Dean as ackowledged it in Scarecrow, etc. But yes, Sam has never really understood how it felt to be left behind, to be the one who ends up alone, and more particularly, that for Dean, Sam leaving = loosing a member of the family = mom death. But Sam was right to want to be his own man, and, honestly, you can't live your life with your bro & dad until you're 75, no? I'm sure Sam doesn't apologize for leaving to live his own life, but for running away...Does it make sense to you? I'm so glad to see that Sam is finally really growing, that the writers gave him the opportunity to mature, and appear strong without looking arrogant. I really like where they have led the boys, and what would be top notch for me, would be that this new grown-up Sam finds the words to bring us our Badass!Dean back (though a less family dependent Dean would be more balanced), because I love when boys rock the place and take the sh*t out of demons and angels. GO TEAM FREEWILL! Coxfire, First off, welcome to delurking status!!! Sam indeed found the words and more importantly the actions for Dean to find his standing again and like you, I hope Dean truly moves forward in recognizing what's been in front of him all along, family. Family doesn't mean living together forever but knowing that there is someone you can always count on to be there for you...that's important. Dean learned that in this eppie. Thanks for taking the chance and delurking. Keep enjoying the site...it's people like you that make it sooooo cool. Iâ€™m a little late, but since Iâ€™ve been avoiding spoilers this year I had to wait for Episode 100 to be aired before I was able to read your article. I loved your how you broke down your thoughts to come to Adam as your conclusion. 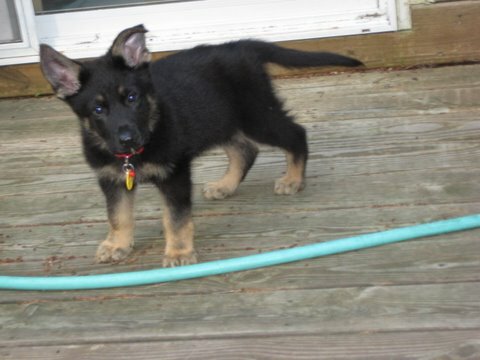 BTW Jobe is beautiful, itâ€™s amazing how fast they grow. It makes me extra glad to know that by putting in my notes and warnings on spoilers and speculation that you were able to avoid learning something you didn't want to. I'm glad I spoiled nothing for you. I hope you enjoyed the 100th episode mightily, I sure did and I definitely like how Adam was worked into the story. Thank you regarding Jobe, he is my beautiful boy, at nine and a half months now he's got ants in his pants and he is a clown but he's fun and funny to be around. I managed to resist reading this article until after the ep (how I found that fortitude I've no idea), but it was still great to read your thoughts and insights, and cool that you guessed right about Adam. The character discussions were especially interesting--th at includes everyone's comments! Really fascinating discussion. I love this site! My two cents about a couple of characters who didn't make an appearance: I rather liked S4 Ruby, thought she was ambiguous and intriguing. It helps that she was my first encounter with the character, but even after I caught up with S3, given that the relationship had changed in the months after Dean's death it was alright with me. I very much agree with you about Anna, though-- the references to her torture in Heaven weren't enough to justify the lack of consistency in her the way her character is handled between S4 and TSRTS; it felt contrived rather than true. Enjoyed your thoughts on John's characterizatio n as well. Again, great article and great discussion! First off, thanks for your awww re: Jobe and Munchkin. I'll share some joint pics of the two of them in articles this summer...just cause I can!!! I'm glad you love this site...me too!!! It's interesting how you look at Ruby 'cause your first encounter with her was in S4, that's kind of how I feel regarding the Bela character. Since I only came into the show at Mystery Spot, my first encounter with Bela was Jus In Bello and then the repeat of DALDOM so I didn't mind her at all. Then she was dead not too long after so seeing her from BDABR never bothered me...and hey, b/c of her we got the boys in tuxes...cool by me. Glad you're enjoying all the comments and discussions. It is a fun place to come and delve into our mutual love, obsession and whatever else Supernatural.